In brazen violations of all human rights, the Iranian authorities have been roughly treating the already devastated Afghan migrants wandering around in the quest for a peaceful life. The physical and psychological abuse directed by the Iranian police towards the Afghan migrants, pressuring them to consume drugs and even forcefully recruiting Shiite Afghans for the war in Syria, have been going on for quite a while now. Such horrific tales have only become more prominent recently in local and international media, with an array of the dejected refugees deported back to the war-torn country amid soaring unemployment and the currency plummeting in Iran. In a recent devastating incident, the Iranian border guards opened fire on a convoy of Afghan migrants, killing two of them and injuring close to 20 more, according to a Radio Free Europe/ Radio Liberty report published last week. This is an adamant desecration of not only the international treaties on migrants’ rights, but the perceived ‘brotherly’ ties between two neighbouring countries that are often cited as worthy of respect in officials quarters – both in Tehran and Kabul. 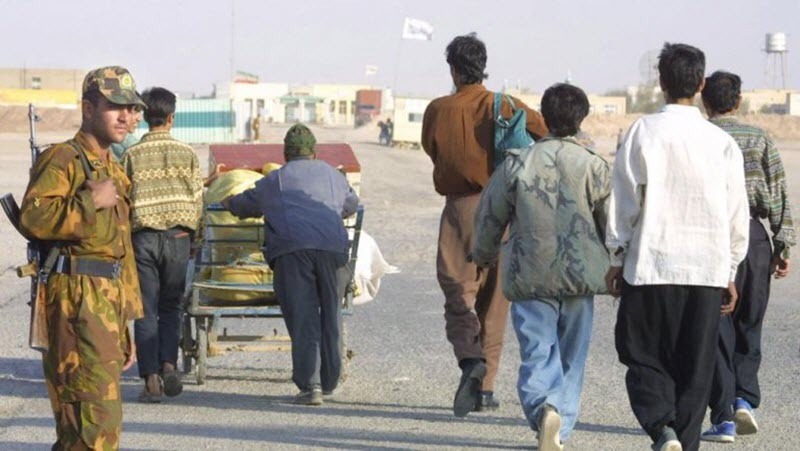 The brazen discrimination and persecution faced by the common Afghan migrants wishing to live in Iran or opting for onwards journey, however, is far from being ‘brotherly’. An absolute majority of these unfortunate migrants are forced to flee by crippling poverty and the deadly war that is raging on in their homeland. Their families, mostly women and children, depend immensely on the hard-earned money that they used to send back to Afghanistan on a regular basis. After forced deportation, these migrants have shared horrific tales of bounded labour without pay, extortion and torture during police custody in Iran. What is happening is that their whole lives are simply lost in a vicious cycle whirled by human traffickers and blatantly exploited by individuals in the Iranian border force. This issue is no less than a serious humanitarian crisis that needs addressing on an urgent basis. The international humanitarian community should take the lead in bringing official quarters from Kabul and Tehran onboard for a mechanism to resolve this calamity.